These are really great for small babies. Her books are short and very sweet. Most have a theme of love such as “I Love You Through and Through” and “Sweet Child of Mine”. It will make you feel so good to have them as the last words you speak to your child before they go to sleep. Like Caroline Jayne Church, her books are cardboard (she makes bath books too that I love) and super sturdy for your little one who likes to chew things. By the time my boys were a year old they were not in hand-me-down shape. We got so much use out of them that they never made it to another family. There is a reason it is so popular. It is such a great way to end your day. 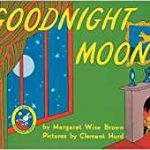 Saying goodnight to all of the things around you will have your baby yawning by the third page. 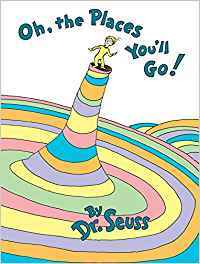 I read this book so many times and although the pages are torn and the book has completely fallen apart, it remains with other precious keepsakes from my babies’ first years. 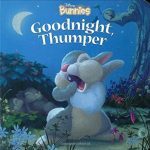 My boys are too old for this one now and I miss how funny they thought it was that Thumper is getting into mischief when he is supposed to be going to bed. In a world of fast-paced, busy lives filled with so much activity that time flies before you know it, it’s so nice to slow things down for a brief moment at the end of the day to hug your baby close and share with them something that they will benefit from for the rest of their lives. No one would ever say they read to their child too much when they were babies!